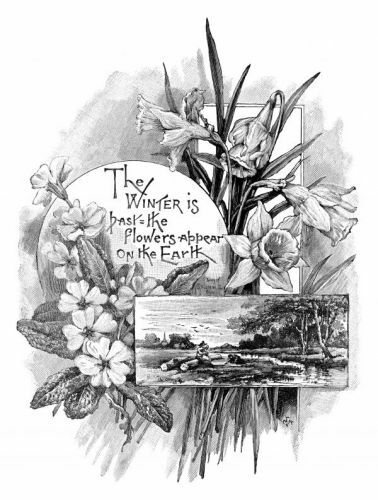 Description: A grayscale drawing of the inspirational Bible scripture- The winter is past. The flowers appear on the Earth. Song of Solomon II-12.